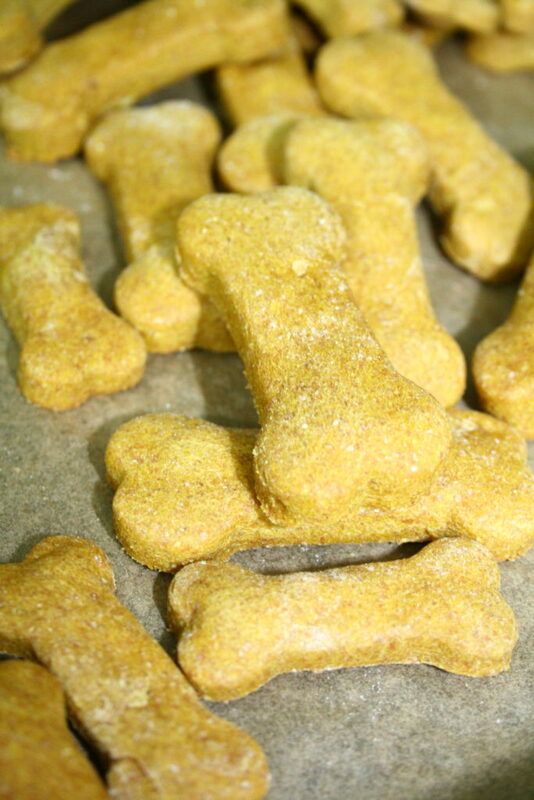 Calling all dog parents – This homemade dog treat recipe is an easy and healthy alternative to store-bought dog treats! 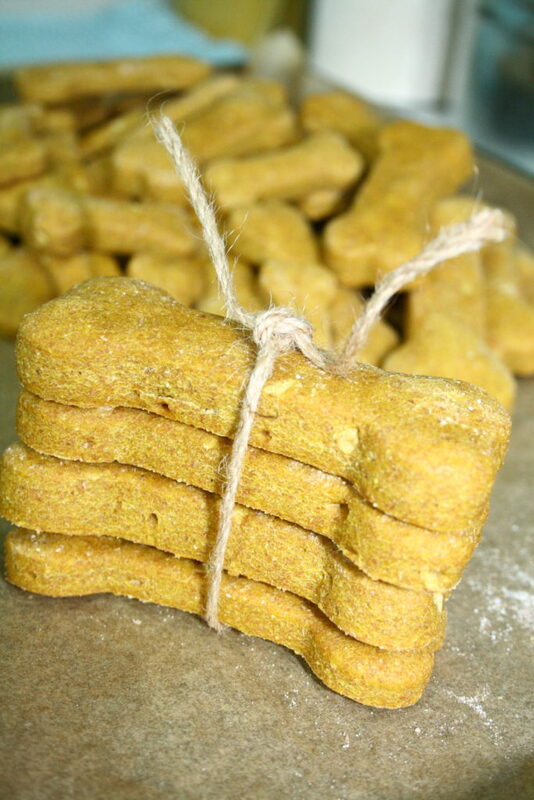 When I’m feeding treats to my fur babies, I want to make sure that I am feeding them something not only enjoyable for them, but healthy as well. 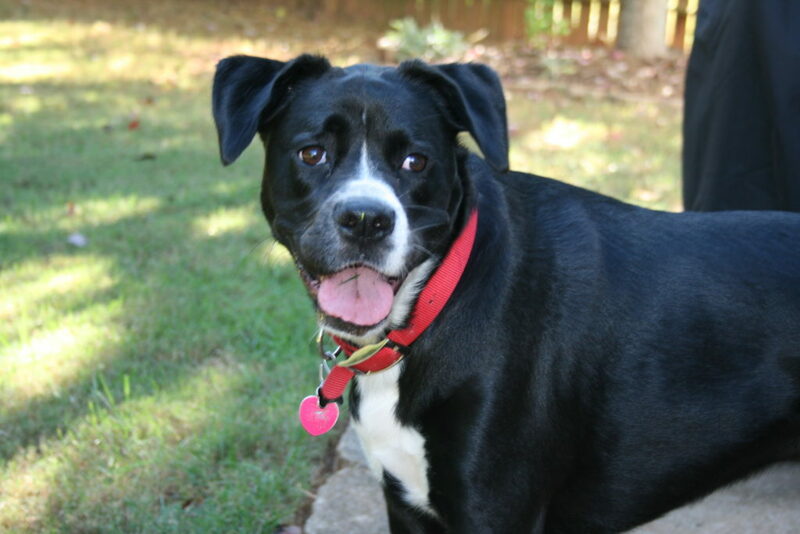 A few months ago, I entertained the idea of making my own treats for Sabre and Dulce so that I would feel better about what was going into their precious little bellies. 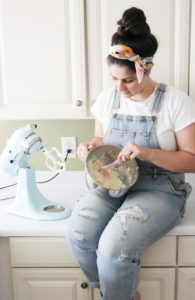 I soon began to research ingredients that I was familiar with and would feel comfortable consuming myself. Anytime I feed S&D something new, I research it like CRAZY to be sure that it is safe for them (Because #HelicopterDogMomLife). 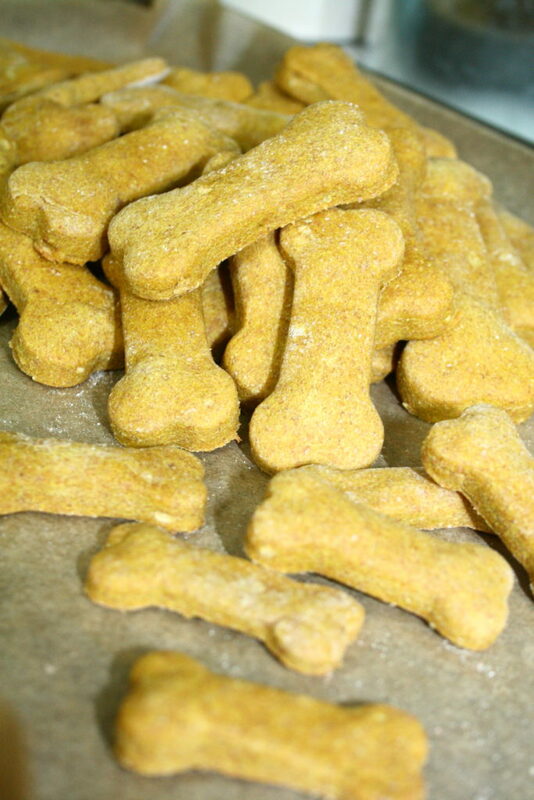 I decided on 5 simple ingredients/flavors that were not only cost effective, but ingredients that I knew my dogs already liked from previous snacks. 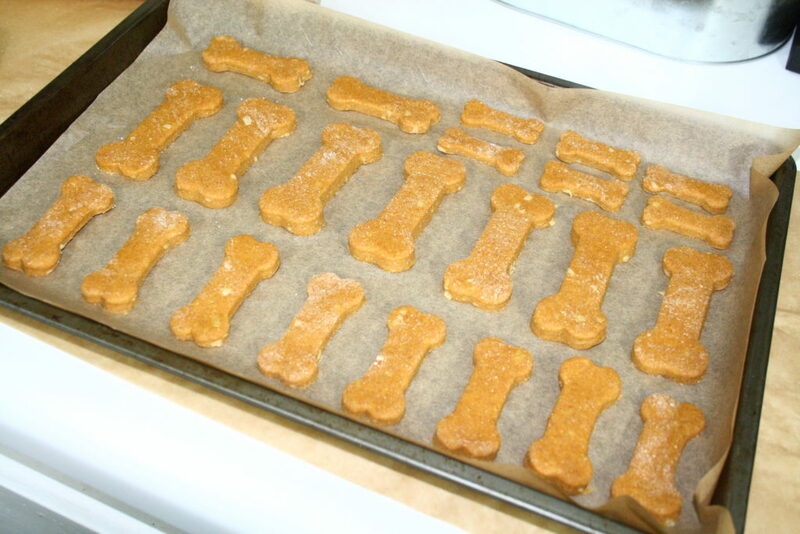 My recipe yielded over 50 treats of various sizes, where my previous go-to dog treat was $12.99 for much less than 50 treats. That is a pretty big win in my book! 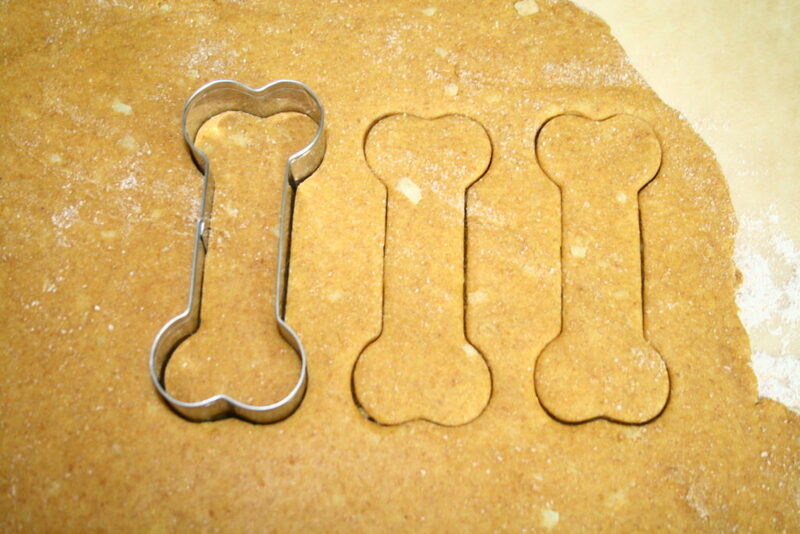 I choose to cut the dough with bone-shaped cookie cutters for obvious reasons, but any shape will work! The set that I used came with 3 different sizes. Add them to your cart here. 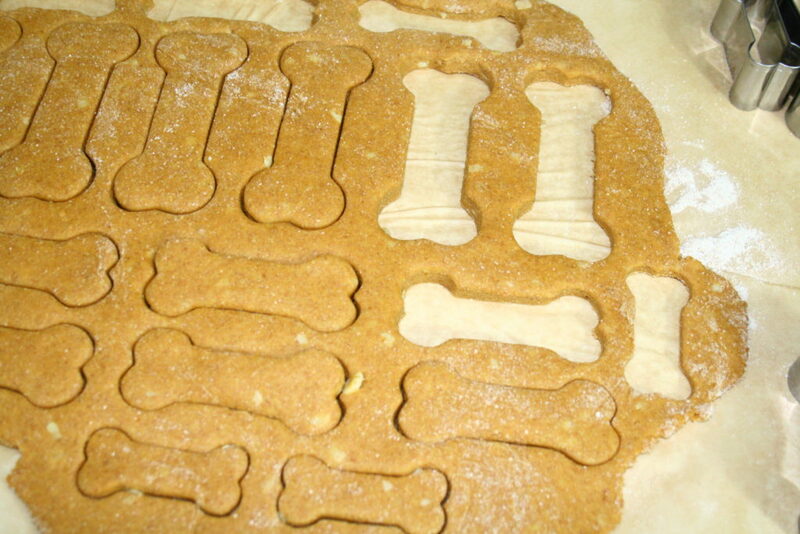 When the moment of truth came and I fed these to not only S&D, but Ellie too (Mom and Dad’s dog), they all LOVED them! 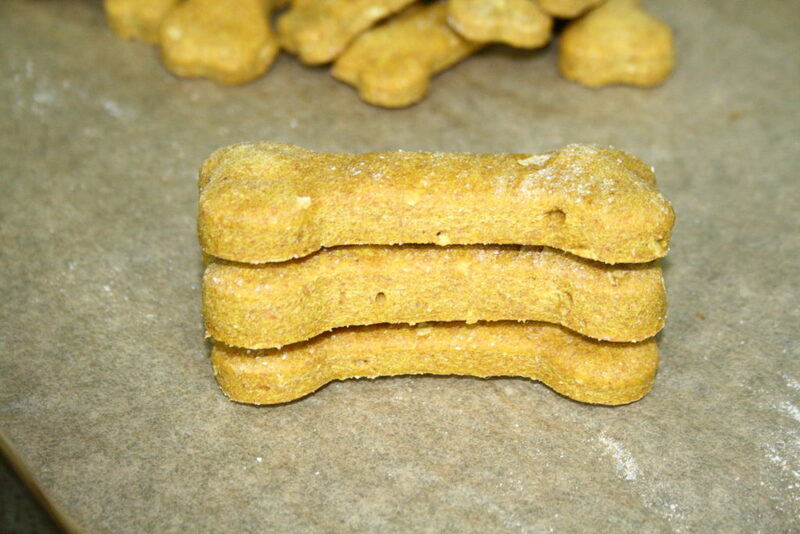 So there you have it.. these treats are Sabre, Dulce AND Ellie approved and I know your furry friends will love them too! BEFORE YOU USE THIS RECIPE OR INTRODUCE ANY NEW FOOD TO YOUR PET(S), PLEASE CONSULT YOUR PET’S VETERINARIAN REGARDING ANY POSSIBLE ALLERGIES THAT YOUR PET MAY HAVE. Preheat oven to 350 degrees, then line baking sheet with parchment paper. In large mixing bowl, beat pumpkin puree, peanut butter shredded apple and eggs until well combined. Then gradually add 1 cup of flour until it is mixed in well. Add the additional flour in ½ cup at a time. On a separate sheet of lightly floured parchment paper, knead the dough a few times. Then with a rolling pin, roll the dough until 1/4-inch thick. 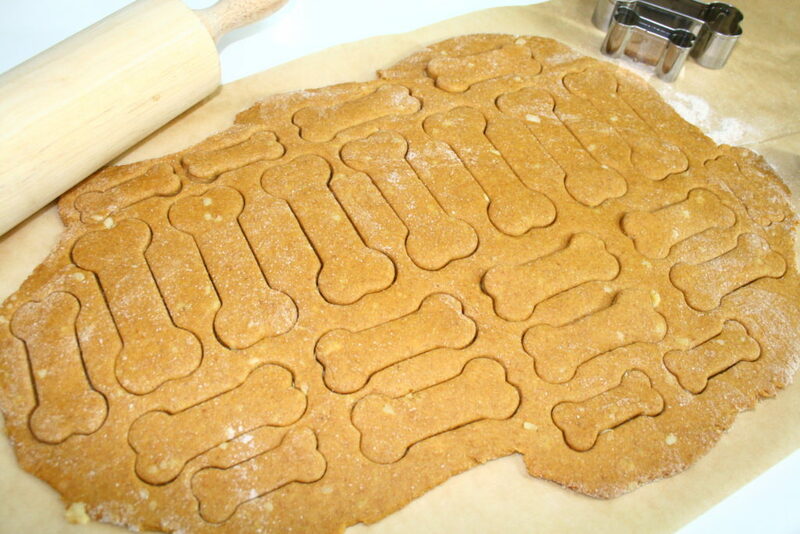 Take your cookie cutter of choice, cut out the shapes and place onto the prepared baking sheet. Bake for 19-24 minutes or edges are golden brown. Serve to your furry friends! 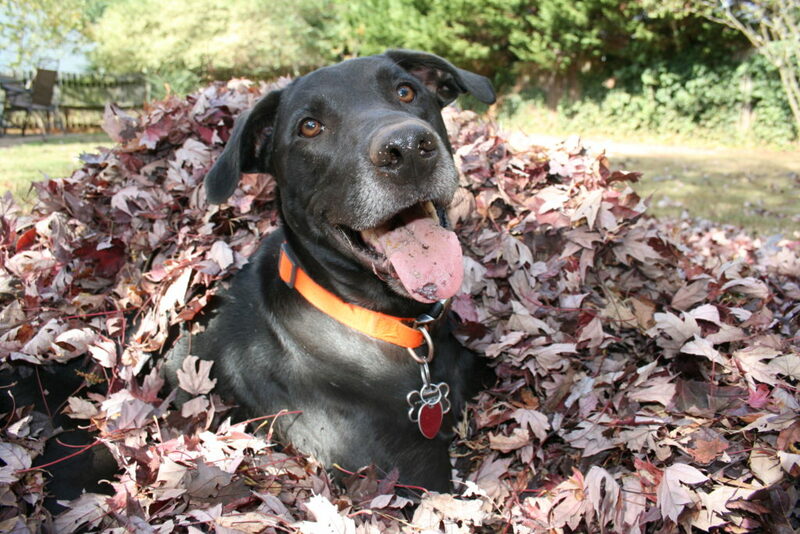 Let us know how your pups like them! Thank you for sharing this, my dog (Bailey) loved these! 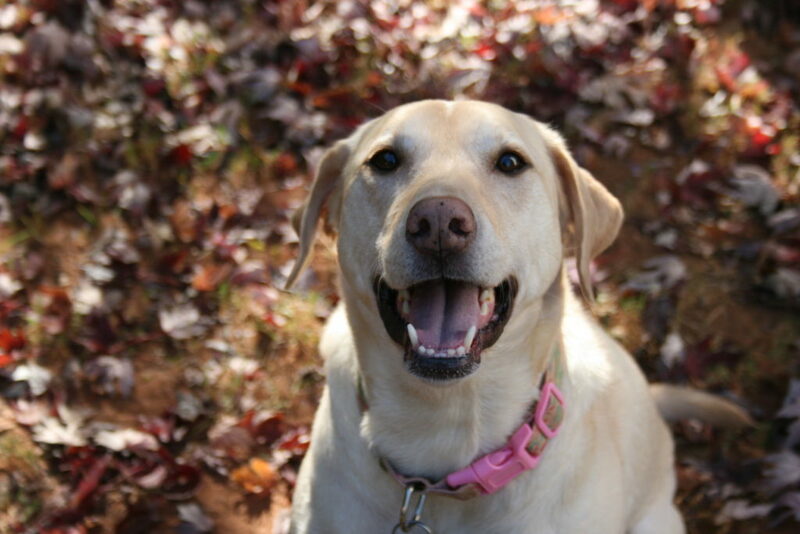 Hey Lindsey – I am so glad that Bailey enjoyed these! 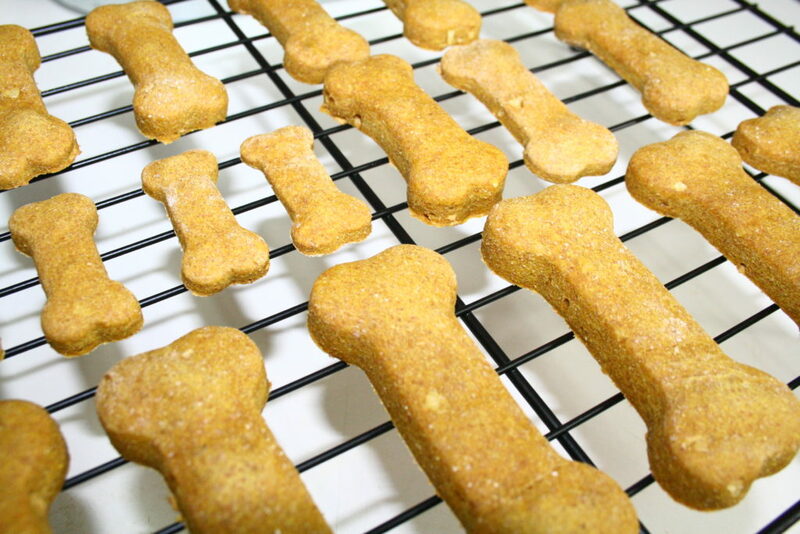 I hope to post more dog treat recipes soon, so be sure to check back! 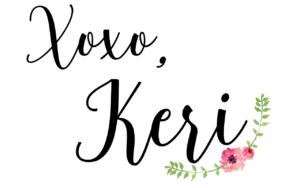 Thanks for reading BWTB!